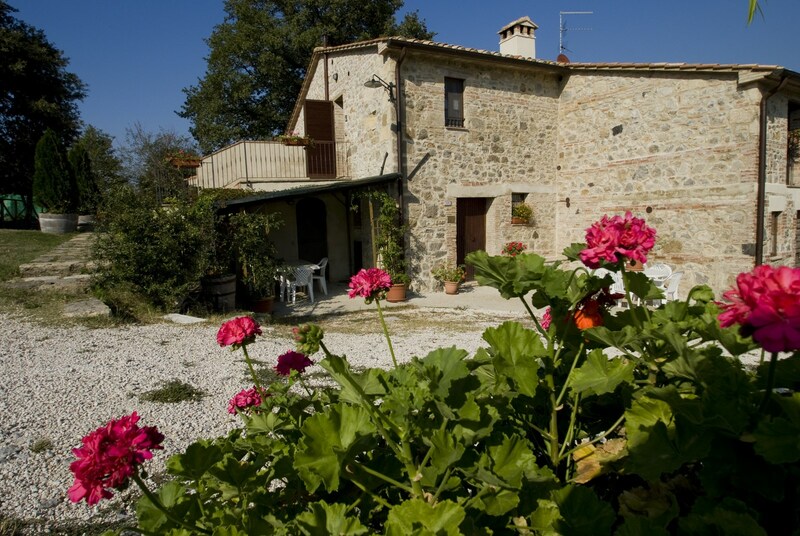 Podere Scagnolo is a charming stone farmhouse located next to the bed of the river Orcia, on the slopes of Mount Cetona, 32 hectares (including forest, cultivated fields and vineyards) with stunning views over the Val d’Orcia. It is 9 km from Radicofani, 10 Km from Sarteano and is part of the Artistic, Natural and Cultural Park of Val d’Orcia UNESCO. Decorated in a rustic style and at the same time equipped with all modern comforts such as heating, satellite TV and each room has its own bathroom. 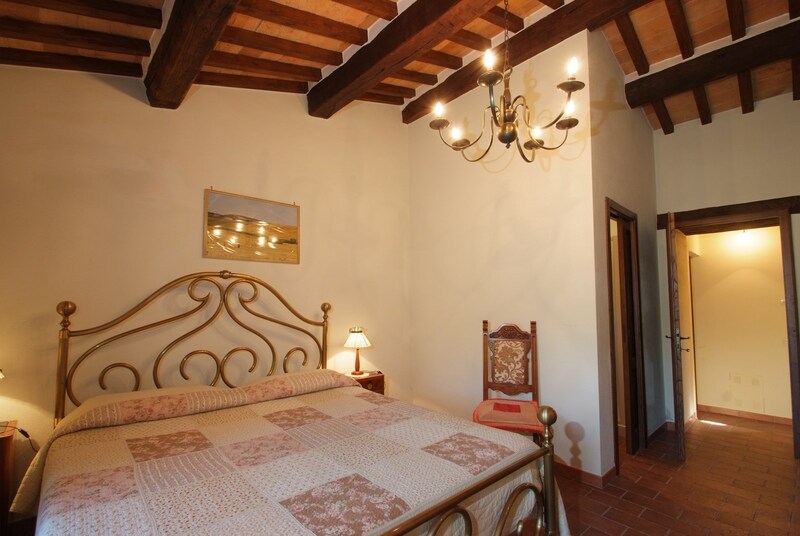 Podere Scagnolo is a charming stone farmhouse located next to the bed of the river Orcia , on the slopes of Mount Cetona, in 32 hectares (including forest , cultivated fields and vineyards ) with stunning views over the Val d’Orcia . 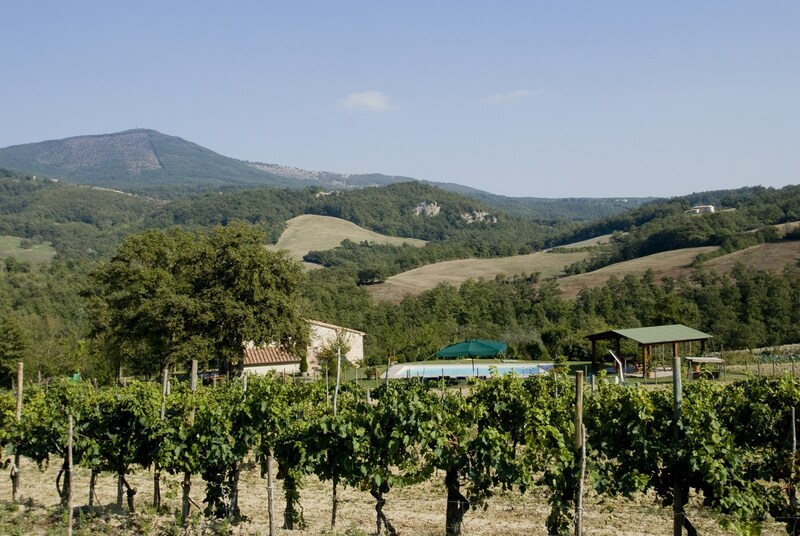 It is 9 km from Radicofani , 10 Km from Sarteano and is part of the Artistic, Natural and Cultural Park of Val d’ Orcia UNESCO . 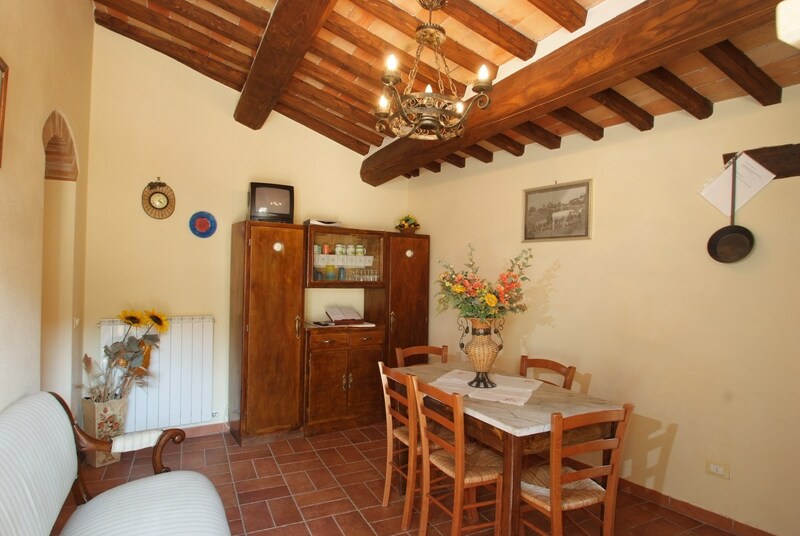 The farm Scagnolo was renovated in 2006 respecting the typical Tuscan architecture , preserving some of the old terracotta floors , the characteristic wooden beams. Scagnolo is the ideal place for your dream holiday of peace and tranquility here in this corner of paradise every passion can be fulfilled . Those who are attracted by the history and architecture in the medieval villages you will not get bored visiting Pienza, Montepulciano , Sarteano , Chiusi . Who likes to heal the body with massages, mud and anything else you may enjoy beautiful hot water spas in San Casciano dei Bagni , sensory spa and thermal baths in Chianciano Terme , Bagni San Filippo and Bagno Vignoni. Those who love nature can make beautiful walks through forests of ancient oaks meeting hares, pheasants and deer and listen to the beautiful melodies that make the birds with their chirping .